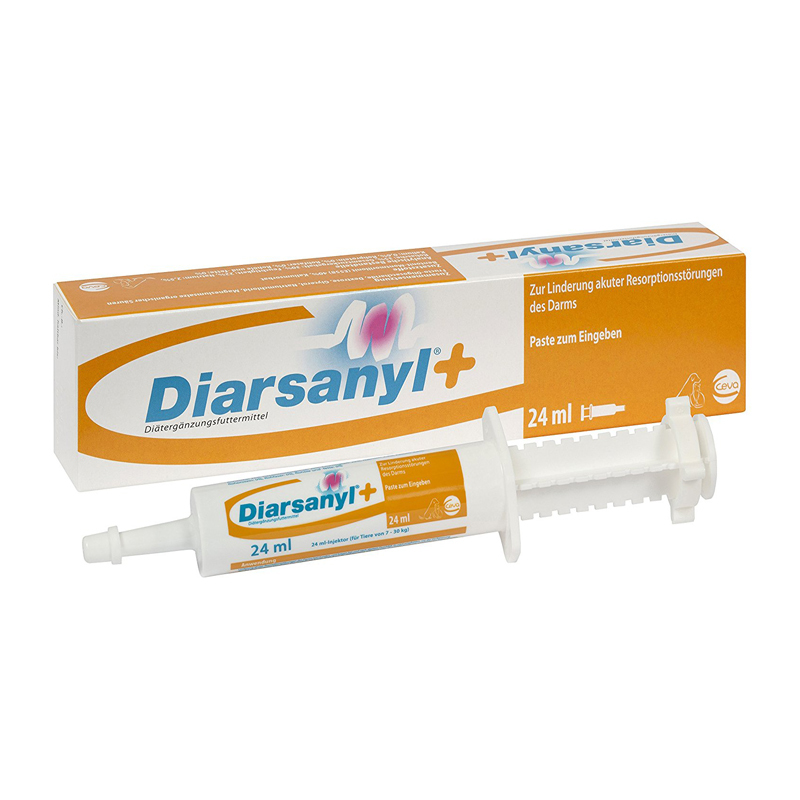 Diarsanyl Plus is useful in the treatment and prevention of diarrhoea in foals and horses. It is a cupboard essential for anyone expecting foals. Diarsanyl Plus is a clay-based paste designed to aid the management of diarrhoea in foals and horses. The clay, Montmorillonite, is 100% natural. It has an exceptionally high mineral content, which is what makes it so good at controlling intestinal upsets. Montmorillonite can absorb water and intestinal toxins and is said to be up to ninety times more effective than Kaolin. Diarsanyl Plus also contain the prebiotics Fructo-oligosaccharides (FOS), which are proven to maintain normal intestinal flora by promoting the growth of “good bacteria”. FOS also aid the production of the short chain fatty acids, which are important energy sources for the large intestine. Diarsanyl Plus has added electrolytes and dextrose (sugar, as an energy supply). Make sure water is always available when using this product.